When it comes to offering an unbeatable lifestyle, few Arizona communities can compete with the majesty of Las Sendas. 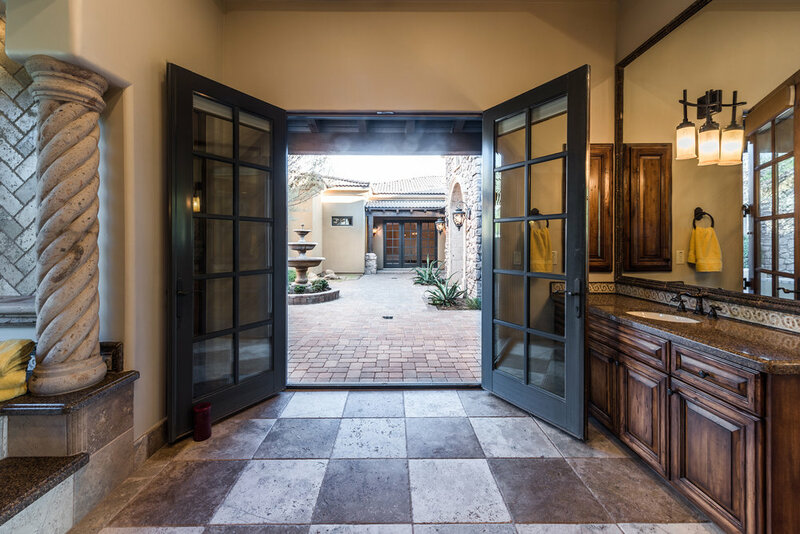 The community is ideally located just 20 minutes from both the Phoenix Sky Harbor International Airport, and the Mesa-Gateway Airport allowing residents and their guests easy access to this spectacular Arizona home. This master-planned community is more than a place to live, it’s a place to feel alive, with top-tier workout facilities, entertaining social clubs, and a world-class spa. Golf, tennis, and swimming are just a handful of the endless activities that await homeowners each and every day in this master planned desert oasis. After waking up to scenic mountain and valley views, take a stroll along any of Las Sendas’ breathtakingly beautiful desert walkways, or head straight to the community’s northern boundary—the Tonto National Forest—for a little bit of Sonoran serenity. When the itch of adventure needs to be scratched, jump in the car and make your way to the Apache Trail—less than a half-hour ride away. One of the most popular hikes in the greater Phoenix area, the Apache Trail is an opportunity to walk the same centuries-old path once traveled by local Native American tribes and early American gold prospectors. While traversing the trail, take note of the eerily-quiet Superstition cliffs that climb more than 2,000 feet above the trailhead. Buried somewhere into that wall of rock, rests the legendary Lost Dutchman Mine—one of the most sought-after mines in the southwest. If hiking isn’t of interest, cool-off with a floating picnic along the Salt River—a favorite summertime activity amongst Las Sendas’ residents—or visit the shooting and archery ranges located at Usary Mountain Regional Park. 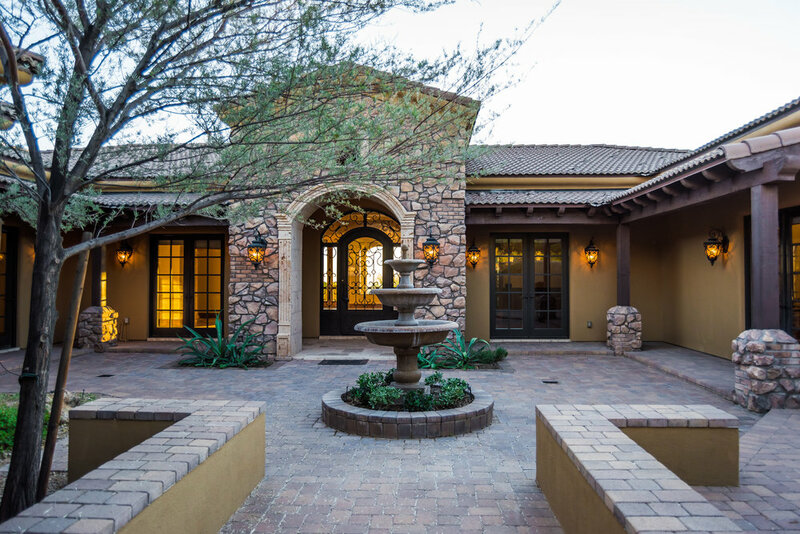 Flawless and artistically sculptural, this unique Arizona paradise home is desert living at its finest where the exterior and interior will meet all of your outdoor-indoor needs.